The following R&D tax update seeks to provide information on recent developments affecting the operation of the incentive, and compliance issues relevant to the building and construction industry. The Budget Savings (Omnibus) Bill 2016 passed both houses of parliament in September 2016. Included within the Bill’s range of budget savings measures was a uniform 1.5% reduction in R&D tax offset rates, which will apply to R&D claims for income years starting on or after 1 July 2016 (FY17), which is forecast to save $600M over the forward estimates. This savings measure was finally passed after proposals to legislatively reduce the R&D tax offset rates for prior years had stalled in the senate. Companies with a group turnover of less than A$20M receive a 43.5% refundable tax offset for eligible R&D expenditure (previously a 45% offset prior to reduction). Companies eligible for the refundable offset with surplus tax losses are also able to receive a 43.5% refund for R&D expenditure not carried forward as a tax loss. Companies with a group turnover of in excess of A$20M receive a 38.5% Non-Refundable tax offset for eligible R&D expenditure (previously a 40% offset prior to reduction). Companies eligible for the non-refundable offset and in tax loss carry forward their R&D tax benefits to apply against taxable income of future years. R&D tax offset received for eligible expenditure. Accordingly, the impact of the recent R&D tax offset reduction on companies’ R&D tax benefit must be considered with changes to the company tax rate for small business entities legislated within Tax Laws Amendment (Small Business Measures No.1) Act 2015. The changes are illustrated below. Table 1 summarises R&D benefits received before the legislated changes and Table 2 outlines impacts of the change on the permanent R&D Tax benefit companies receive. In the 2016-17 budget, the government announced an intention to further reduce the company tax rate for companies with a group turnover under A$10M from FY17. This reduction was introduced into parliament in September 2016 within the Treasury Laws Amendment (Enterprise Tax Plan) Bill 2016, but has not been passed as law. Should it be legislated, a potential outcome of the proposed changes is outlined below. The R&D tax incentive is a self-assessment regime. This means companies are responsible for identifying and reporting their activities in line with the legislation. The programme’s administrators (AusIndustry and the ATO) also publish guidance material, which could be read in conjunction with the legislation to assist companies with understanding the incentive’s scope and requirements. Additionally, the guidance material indicates AusIndustry and the ATO’s expectations and the focus of their compliance activities. The progressive release of guidance material, since the introduction of the incentive in FY12, has meant that companies must dynamically assess whether their claims are in accordance with current guidance. Most recently, AusIndustry published a range of guidance material on specific compliance issues for various industries. Companies generally contextualise their R&D work on a project basis. However, to be eligible for the R&D tax incentive, companies must instead examine the nature of the activities that make up a project, and individually assessed their eligibility against the legislative definitions in s 355.20–30 of the ITAA97. Pursuant to those provisions, eligible activities must be classified as either ‘core R&D activities’ or ‘supporting R&D activities’. As supporting R&D activities rely on the existence of core R&D activities, an R&D claim is primarily established by first identifying a core R&D activity. (b) that are conducted for the purpose of generating new knowledge (including knowledge in the form of new or improved materials, products, devices, processes or services). Accordingly, to establish an activity as a core activity under s 355-25(1), companies must prove that an activity is (1) experimental and (2) conducted for the purpose of generating new knowledge. The knowledge of a competent professional in the relevant field; i.e. would they be able to determine the outcome based on the available information. Accordingly, the relative unpredictability of activity outcomes must not be established merely on the company’s internal expertise or experience. 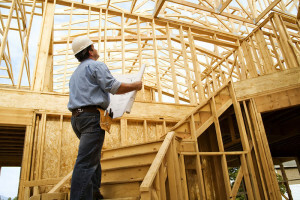 Where known engineering techniques, building materials, designs and processes are applied or simply adapted, claimant companies in the building and construction industry should be careful not to rely on the particularities of local conditions or project requirements to satisfy this element. Importantly, the uncertain outcomes must relate to technical risks and not economic or other non-technical risks. Companies should also ensure that uncertain outcomes are established and documented at the start of the activity. Companies are also able to use evidence of actual technical failures to affirm eligibility since, in Mt Owen Pty Limited (aka DBTL) v Innovation Australia, the Tribunal considered that the evidence of actual technical failures and issues that arise during the progress of an activity may suggest that the outcome was unknown at the outset. An activity is an experimental activity if the unknown outcome can only be determined by applying a systematic, scientific method. This should be demonstrated by identifying the activity hypothesis, providing information on how the experiment was conducted, and then drawing logical conclusions from the observations and evaluations made in the process of experimentation. In particular, the description of suitable activity hypotheses was identified within the AusIndustry guidance material published in November 2016 as a problem area of current registrations. The key recommendation was for companies to provide more information on the specific unknown outcome being tested, which should be technical and falsifiable. The onus is on companies to maintain documents and records to evidence their claimed R&D activities and expenditure, which will be required should AusIndustry or the ATO undertake a compliance review of the registered activities. These should include also information on the ‘process of each activity as it develops’. An experimental activity must also be conducted for the purpose of generating new knowledge, in order to be an eligible core R&D activity. Whether a company has the requisite purpose is suggested by the recent decision in JLSP v Innovation Australia to be a question of degree. In that case, JSPL was contracted to conduct clinical drug trials for a non-related, overseas company. AusIndustry submitted that JSPL conducted the activity in question to fulfil its contractual obligations and, as the other company holds the rights to the drug being tested, it can only have incidental interest in the results generated. Therefore, the activity cannot have been conducted for the purpose of generating new knowledge. s 355.25(1), which evolved from ‘a’ purpose to ‘the’ purpose, during the transition from the concession to the incentive. However, it held that this change does not mean that the purpose of generating new knowledge had to be the only purpose or even the main purpose; and that the new provision increases the burden of proof on the claimant company, only insofar to show that the purpose of generating new knowledge was a substantial one. Subsequent eligibility guidance material released suggests that AusIndustry maintains a firm view of the purpose test and would expect that the purpose of an activity be clearly demonstrable. Within the guidance material published in November 2016, AusIndustry expressed a view of building and construction activities being inherently commercial in nature and generally undertaken for profit. Consequently, the application of the purpose test may be a particular focus for claims in the building and construction industry. When determining whether an activity may be eligible as a core R&D activity, companies consider that an important objective of the R&D programme is to encourage companies to undertake commercially risky, or otherwise unviable, activities; and recognise that amendments introduced by the incentive intend to restrict inclusion of commercial activities and ‘whole of project’ claims. What documentation is available to support that the knowledge-discovery purpose existed? It is AusIndustry’s view that the requisite purpose must be present at the time the activity is conducted. Therefore, companies should plan ahead and keep time-stamped copies of the relevant documents to demonstrate that the intent to conduct the experimental activity was formed prior to the activity being conducted. Activities related to the reproduction of a commercial product or process by physical examination of an existing system, or from plans, blueprints or publicly available information. As part of building and construction projects, activities may be undertaken for the purpose of complying with regulations and standards. Activities conducted specifically for that purpose are ineligible under s 355-25(f). For example, a test conducted to demonstrate that a particular design complies with a relevant required standard, such as meeting provisions of the National Construction Code, is not a core R&D activity. Additionally, this exclusion extends to activities associated with complying. For example, an ISO test and an activity conducted prior to ensure that it passes the test are ineligible as core R&D activities. However, this exclusion does not exclude experimental activities to develop a new product or service, which must incidentally meet some regulatory requirement or standard. s 355-30(1), if they are directly related to a core R&D activity; i.e. it is conducted for, or to enable, a core activity to be undertaken. Further to this, if a supporting activity (1) produces goods or services or (2) or is directly related to producing goods or services, it must be established that the activity was conducted for the dominant purpose of supporting an eligible core activity. Manufacture of prototype materials for experimental testing (dominant purpose). A series of taxpayer alerts for the R&D Tax Incentive were issued by the ATO in February 2017. ATO ID 2012/5 affirmed that the building expenditure exclusion applies to both building expenditure incurred on capital account or on revenue account as trading stock. ATO has affirmed in recent workshops their view that the legislation and ATO ID are clear, but are at times not being followed. It is important to note that the exclusion within the legislation and ATO ID does not make reference to expenditure on experimental design activities that are undertaken prior to the acquisition or construction of a building. Where feedstock revenue is equal to, or in excess of the corresponding feedstock expenditure, a feedstock adjustment eliminates the R&D tax benefit for feedstock expenditure for claimants of the non-refundable component of the Incentive (large companies with turnover greater than $20M). AusIndustry and the ATO have released specific issue guidance which clarifies that an entity can choose to not register parts of R&D activities if they deem the R&D tax benefit on feedstock expenditure does not warrant the monitoring and reporting of feedstock adjustments. Feedstock expenditure incurred during excluded components of R&D Activities is able to be omitted from a company’s R&D expenditure and deducted under normal tax provisions. R&D tax offsets are still able to be claimed for expenditure on the remaining components R&D Activities that does not fall within the scope of the feedstock provisions. As part of the National Innovation and Science Agenda launched in December 2015, the government formed a review panel to analyse the R&D Tax Incentive programme, chaired by Mr Bill Ferris AC (Innovation Australia), DR Alan Finkel AO (Chief Scientist) and Mr John Fraser (Secretary to the Treasury). Analysis by the panel has been undertaken at a time when budgetary cost of the R&D Tax Incentive has been higher than anticipated and follows previous reviews of the programme undertaken by the Centre for International Economics and the ‘Re:Think’ tax whitepaper. The latest review sought to identify opportunities to improve the effectiveness and integrity of the programme and considered submissions from a variety of stakeholders. The review panel found that that the programme falls short of meeting its stated objectives of additionality and spillovers and has made six recommendations, which include potential changes to the incentive. The government is now in the process of considering these recommendations, in conjunction with public submissions on the review panel’s findings. It may choose to adopt all, some or none of these recommendations, which may lead to future legislative change to the R&D tax incentive. Retain the current definition of eligible activities and expenses under the law, but develop new guidance, including plain English summaries, case studies and public rulings, to give greater clarity to the scope of eligible activities and expenses. Introduce a collaboration premium of up to 20 per cent for the non-refundable tax offset to further encourage collaboration between business and research organisations; in particular, for claimants of the non-refundable component of the incentive (large companies with turnover greater than A$20M) and research organisations. The magnitude of the premium for such expenditure was proposed by the panel as being an increase in the non-refundable tax offset from 40 cents to 50 or 60 cents per dollar of eligible collaborative R&D expenditure. Such a proposal would effectively double or triple the tax saving for eligible collaborative R&D expenditure over other R&D expenditure from 10, to 20 or 30 cents per dollar of expenditure. The premium would also apply to the cost of employing new STEM PhD or equivalent graduates in their first three years of employment. Introduce a cap of A$2,000,000 on the annual cash refund payable under the incentive, with remaining offsets to be treated as a non-refundable tax offset carried forward for use against future taxable income. 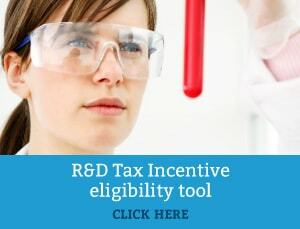 Introduce an intensity threshold in the order of 1 to 2 per cent for recipients of the non-refundable component of the R&D tax incentive, such that only R&D expenditure in excess of the threshold attracts a benefit. With the introduction of an intensity threshold, companies must incur eligible R&D expenditure in excess of a specified percentage of their total business expenditure before qualifying for the non‑refundable tax offset. For example, a company with total business expenditure of $100M and subject to a 2% Intensity Threshold would only receive a tax benefit from the Incentive for R&D Expenditure in excess of $2M (being 2%*$100M). Enviroloo is an Australian tax-paying company that has developed a non-toxic chemical toilet system for use in eco lodges that does not need to be flushed with water. The company has self assessed its R&D to be eligible under the R&D Tax Incentive. Enviroloo is profitable, with turnover over $20 million and total business expenses of $10 million. It spent $180,000 on its R&D (1.8 percent intensity – calculated as R&D expenditure divided by total business expenses) and received a non-refundable tax offset of $72,000. If an R&D intensity threshold requirement of 2 percent were to be introduced, Enviroloo would no longer receive the 40 percent offset as its R&D intensity is less than 2 percent. However it can still receive a standard business deduction for its R&D expenditure, which represents an equivalent offset value of $54,000. Enviroloo would have an incentive to undertake additional R&D to increase its intensity above the intensity threshold to receive the non-refundable tax offset on expenditure over $200,000. BakingStuff is a company incorporated under Australian law, producing and supplying specialised bread products. To improve the health benefits of its products, BakingStuff contracted out a PFRO to develop technology to add fish oil to its wholegrain bread line. BakingStuff is profitable, with turnover over $20 million and total business expenses of $10 million. Similar to Enviroloo, it also spent $180,000 on its R&D (1.8 percent intensity), entirely through the contract with the PFRO, and received a non-refundable tax offset of $72,000. With an R&D intensity threshold of 2 percent, while Enviroloo is not eligible for the R&D tax offset, BakingStuff’s R&D is collaborative with a PFRO so it would receive the collaboration premium despite being below the threshold. Rutimech is a large Australian tax-paying company that manufactures custom alloy for specialist applications. It develops a new technology that uses inert rather than carbon anodes in the manufacture of its alloy – reducing costs and increasing energy efficiency – which it self-assesses to be an eligible R&D activity under the R&D Tax Incentive. Rutimech is profitable, with turnover over $60 million and total business expenses of $30 million. It spent $1.2 million on R&D (4 percent intensity) and received a non-refundable tax offset of $480,000. Rutimech’s R&D intensity is above 2 percent and so would receive the offset on expenditure over the threshold, with R&D up to the value of 2 percent of its total business expenses able to be deducted at the company tax rate. This would give Rutimech a total offset of $240,000 and its deductions would give an after-tax benefit of $180,000, for a total after-tax benefit of $420,000. Rutimech has an incentive to further increase its R&D expenditure, as any additional R&D attracts the full R&D offset rate of 40 percent. If an R&D intensity threshold is introduced, increase the expenditure threshold from $100M to $200M million so that large R&D-intensive companies retain an incentive to increase R&D in Australia. The cap would apply to R&D expenditure beyond the amount of the proposed intensity threshold. That the government investigate options for improving the administration of the R&D tax incentive and additional resourcing that may be required to implement such enhancements. To improve transparency, the Government should also publish the names of companies claiming the R&D Tax Incentive and the amounts of R&D expenditure claimed. ATO: Assess reasonableness of companies’ R&D expenditure along with a number of structural tax issues. Closer collaboration between agencies to streamline compliance activity. The review panel has also recommended that tax secrecy provisions should be adjusted to allow the publication of the names of companies claiming the Incentive and the amounts of R&D expenditure claimed. This is noted by the review panel as a means of bringing the programme into alignment with modern expectations for transparency of companies receiving public support for their R&D Activity. Swanson Reed provides specialist expertise across a wide range of industries and has assisted many clients attain tax cash savings under the R&D regime. Contact one of our specialist R&D Tax consultants to find out more about the scheme.